Very few of us will leave our homes in the same condition they were in when we initially purchased them. Even if we have taken care of our properties, life happens and sometimes our home experiences damage. Selling your home can be an extremely stressful experience. The whole process can be quite time-consuming and taxing. To compound this stress, you often have to deal with the worry that you won’t receive as much money as you possibly could for the sale of your property. There are things you can do to raise the selling price of your home. Here’s how to get the most money possible on the sale of your property, without having to spend a fortune. A home might have a myriad of defects, but some issues are larger than others. While the paint color in your kitchen might be a bit dated, it’s not going to stand out as glaringly as a severely damaged driveway. In this situation, it might be advisable not to worry about correcting the paint color and instead of contacting a Montreal concrete repair contractor. It’s essential that you fix the most glaring issues and don’t sweat the small stuff. We might always be told that “it’s what’s inside that counts.” While this might be true, good curb appeal can make or break a home sale. Buyers aren’t going to bother with a house that’s ugly on the outside, even if the interior is absolutely beautiful. Home buyers definitely judge a book by its cover and it’s important that you’re aware of this. Do everything in your power to make your house more attractive from the outside if you want to attract buyers. In the old days, most home shopping was done in-person. While it’s true that buyers still visit homes that they’re potentially interested in purchasing, a lot of decision-making is done online based on photographs of different homes for sale. A fantastic property can often be overlooked because the photos on the house’s listing are subpar. Ensure that your photos are of the utmost quality and capture your home in its best light. This might mean moving furniture around or hiring a professional photographer. Do whatever you need to do to get the best shots of your home. If you’ve had your home on the market for quite some time and you’re not receiving any offers that you consider to be reasonable, it might be time to consider becoming a landlord and renting the property. While being a landlord can certainly be a challenge, it’s better to make a consistent income on your property than it is to take an extremely low offer that won’t help you to recoup your initial investment. After renting your home for a year, you can use the money you’ve earned to make improvements to the property and then attempt to sell it again. There are plenty of great real estate agents out there, but there are also a lot of bad ones. Sometimes, a home won’t sell necessarily due to the home itself, but rather due to a subpar real estate agent who isn’t putting in the work needed to sell the home for the maximum profit possible. If you think that you have a gem on your hands but you’re not receiving any good offers, it might be time to find a different real estate agent. Everyone thinks that their home is worth a nice chunk of change. However, sometimes homeowners simply aren’t being realistic about how much their property is worth. If you’re asking for an unreasonable amount of money for your home, all of the staging and strategizing in the world won’t get you to that offer. You want to get what your home is worth, but that’s simply not going to happen if you’re asking for too much money. Know when it’s time to back down and lower your asking price. Selling your home can be stressful, especially in a competitive real estate market. However, if you follow these tips, you can get what your property is truly worth. Being in your 20s is a wild ride. For one, you’re too old to still be dependent on your parents, but also too young to face the pressures and figure everything out. But the pressures of adulting demand that you figure it all out on your own. Then you reach your late 20s, and you’re expected to have mastered it all. But what is all this adulting about anyway? Well for one, it’s building that discipline needed to focus on the most important tasks at hand. It’s realizing that, you only really need to do things one at a time. But of course, the pressures and surge of hormones in our youth lead us to succumb to all kinds of distractions and it all gets tangled up into the blackhole of existential crisis. So, in line with being focused and disregarding all the nonsense, I present to you the way you can manage your budget like an adult. If you’re still in your early 20s, well, awesome. Enjoy all the fun, confusion, and take all the lessons you can get. But, as tita as this may sound, it’s best that you learn all these values now, so you can get ahead of everyone in ‘adulting’. You’ll surely thank yourself later. How much are you really paying every month? This should be your top priority, and not your FOMO (Fear of Missing Out) — on parties, scenes, and events. There’s no better feeling than the peace of mind that comes with being able to pay your bills on time. And with this practice comes the fulfilment of being financially independent, too. If you’re still short on your monthly income and have a credit card, you’re lucky to have something to help you out on those Petsa de Peligro days. But learn to use your credit card wisely so you don’t get caught up in debt. Another solution for this is to look for side job opportunities on the internet, so you get to earn more money. Maybe even in US dollars, too, as most freelance contractors from the likes of Upwork are from the USA. You’ll often hear this at job interviews. What are your goals five, ten years from now? And the right answer should be to see yourself climbing the corporate ladder in that company, to let them know you’re not going anywhere. That thought can change, sure, but the question is still important. What is all this hard work for without a goal, right? Entry-level salaried employees should never set their goals merely based in their income. Set bigger, realistic goals and a specific timeline. Do you want to own a house before you’re 30? That’s possible. Set bigger goals and your paycheck will follow. This is because you’ll program your mind to work double to get to that goal. Entrepreneurs and financial advisers will have you know, letting loads of money sit idly in your bank would be a waste. If you have enough money saved up in the bank, find the right investment venture for you. Invest in something you’re interested in, e.g. Stock Trading, or maybe a business you can start, with partners or by yourself. You can even opt for a personal loan to get that jumpstart if you already have a solid business plan. Let’s be honest, it wouldn’t be cool if you just kept living on a tight budget. If you’re the spaghetti head type who can’t be bothered to set a budget, then grow your money instead. If you have a skill you can monetize — web design, graphic design, writing, or being a consultant in your field of expertise, you get it — make money out of it. Your 20s is about laying a solid foundation for your future. There will be a lot of distractions. But you wouldn’t want to get too caught up in those that you forget about your own well-being and future. Did you look for the finest payday lender when making use of for a quick cash advance? Do you even know what to look for? Many people will apply with the primary firm they discover and then proceed to make use of the identical company for repeat loans. The typical brief-time period mortgage consumer will take out 5-8 loans all year long. If the direct lender doesn’t supply one of the best rates, the interest fees will make paying off the loan that rather more expensive. Unlike banks and credit score unions that fluctuate their curiosity rates depending on a person’s credit rating, the payday mortgage lender has one set charge for all customers. There isn’t a credit score test, so even a credit challenged applicant has an opportunity to obtain a short-term loan. The high curiosity charge is often welcomed when emergency cash takes precedence. Applicants in a hurry don’t usually think about finding a better price for the mortgage, they are simply comfortable that they discovered one. In just some quick weeks the borrower must provide you with the cash to repay the mortgage plus charges. If not, the loan is extended and more fees might be due in just one other few weeks. If this identical applicant shopped for a lender with higher charges, there won’t be as a lot to pay back. The financial savings is critical especially if the loan is rolled over for an additional time period. If you may discover a lender that expenses less than 25%, you might be saving much more and after some time you may catch yourself that you are thinking like a billionaire because you are managing your debts like a pro! For these borrowers who repeat loans throughout the year, the money saved by finding a better payday mortgage curiosity charge is a big quantity. It may doable even counteract in opposition to their need for a fast money advance and keep them from taking out so many in the course of the 12 months. Supporting your own emergency costs is probably the most value environment-friendly method to handle your expenses. If the interest is so expensive, how do these loans assist? If the applicant is going through bank costs for NSF and/or overdraft fees or taking a look at potential late fees and then attainable penalties from them, a short-time period mortgage paid off quickly does help. Besides potentially saving money by using an emergency mortgage, these borrowers can even assist to save lots of potential detrimental stories onto their credit score history. If you may keep your creditor from raising your interest rate, you can be saving lots of cash over the long-run. Some creditors have penalty charges which can run increased than you payday direct lender’s rate. Excessive curiosity on a revolving account with a hefty stability is damaging to any finances. It makes good financial sense to shop around for one of the best payday loan lender charges. As a substitute of making use of for the primary lender you discover, make a list of 5 totally different lenders and name them. The extra questions you ask about their phrases and conditions the higher informed you will be when it’s time to use for the mortgage. You want additional cash fast and a payday loan will assist money matters so take a couple of moments to seek out one of the best direct payday lenders to work with. Due to the absence of hard and fast earnings, senior residents may not be probably the most popular group of consumers. Nonetheless, a constant inflow of social safety income and other retirement perks show to be credible documentation for buying an auto loan. A very good credit rating is usually an energy is not just establishing goodwill but in addition to negotiating a decrease interest rate total. Once a senior citizen applies for an auto mortgage, they may discover that a creaseless credit score historical past and growing retirement accounts are usually not ample. 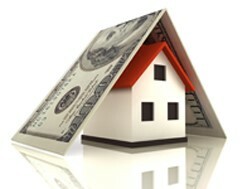 As a rule, lenders look for purchasers with a steady revenue. That is to keep up the equilibrium between the debt owed to the lender and income earned by the senior citizen. Thus, disclosing income records becomes essential in acquiring an auto loan. With multiple incomes that are wholesome, getting approval for an auto loan turns into simple. As in some other loan, variable and fixed rates are the parameters on which the curiosity rate of an auto loan is based. When in comparison with other loans, considered one of the major advantages of automobile financing with a hard and fast rate APR or Annual Share Price shall be that the quantity will probably be fixed all through the term of the mortgage. This ensures that you may be shielded from any fluctuations in the interest fee. Subsequently, the uniform repayment together with the mounted APR induces extra confidence in opting for an auto loan than another type of loans. Furthermore, in your retirement years, it seems greatest to go for low risk mounted price loans. So if you are curbing your need to buy your dream automotive or simply holding again, when it truly is a necessity, making use of for auto loans seems to be the ideal transfer. Your first concern after an auto accident in which you or a loved were injured must be for the safety and immediate medical care of whoever was injured. But as soon as convenient, the very next thing you should be doing is contacting a well seasoned car accident lawyer. It’s not hard to find a personal injury lawyer Houston, but be sure you’re entrusting your financial future (which may depend on your claim) to a firm that has a long, local track record of winning maximum compensation for its clients. With over 17,000 people seriously injured in car accidents in Texas in 2016, and 3,773 in-state auto accident fatalities, you can’t just assume “it won’t happen to me.” You need a financial survival plan laid out ahead of time. If you are injured and rushed off to a hospital from the scene of the accident, you can’t be expected to take down names and driver’s license numbers and the like. But a loved one should act quickly, if you can’t, to gather all relevant information and evidence. Call the police to report the accident if they weren’t seen at the scene. And contact them to get a copy of the police report too, if there is one. Obtain the name, contact information, license plate and driver’s license number, and other critical information on the other driver. You will also need to find out who provides his/her auto insurance at some point in order to call them to file a claim. You will also need to talk to your own insurer about the accident as well. Getting a chance to talk with any witnesses at the accident scene is also crucial. As is working to reconstruct the accident based on any physical evidence. A lawyer is often helpful in this step. Be tight-lipped about the accident. 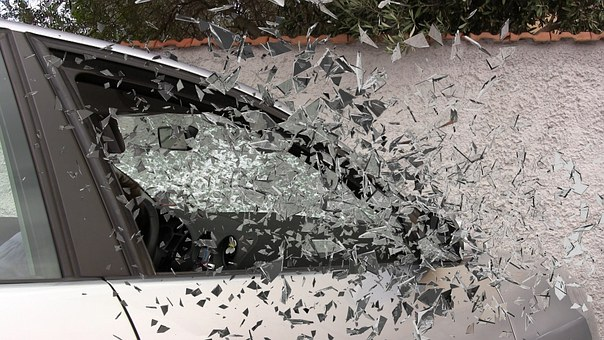 If you admit or imply an admission of guilty at the scene of the accident or later on to the other driver, the other driver’s insurer, your own insurer, or someone else, it could shrink or totally defeat your claim. Be wary of giving an insurance company a statement without first consulting an experienced injury lawyer. Do be cooperative with police, and do show courtesy and politeness to all, but don’t give away extra information to those who might twist it and use it against you later. If an insurer calls you and makes you a settlement offer, don’t immediately accept (or reject) it. A good injury lawyer will know whether or not it’s a fair offer. And he/she can help ensure you get the best quality medical treatment, full compensation for all property damage, and a reasonable non-economic settlement for pain and suffering. Also realize that some injuries, like whiplash, don’t always show up right after the accident – it could take weeks before the true effects of the accident on you and the associated costs are known. So that’s another good reason not to quickly agree to an early settlement offer. Finally, be sure to track your medical expenses meticulously from day one. You need to keep a detailed account of all treatments/prescribed medications. And you need a file full of all bills and doctor’s notes to serve as proof later on. Keep a diary that can be used to help calculate non-economic damages. Write down how the injury has affected your daily life. And gather pay stubs, tax returns, and other evidence to show how much income you’ve lost due to the injury. Be careful to methodically gather evidence and take actions to protect your right to full compensation as early as possible, and it will greatly increase your chances of receiving a maximized instead of minimized settlement. Baby Boomers, the American generation born between 1946 – 1964, are retiring. In fact, a lot of Baby Boomers retire every day; however, research has found that, as a group, they are not very well prepared for their retirement. They don’t have the funds they need to lead peaceful, happy and content lives once they retire. Forget about the luxuries, many finance experts believe that Baby Boomers will be forced to give up on items such as roomy houses, newer cars and other things which they have grown accustomed to. Sadly, many Boomers will survive with just the basic amenities. Here’s an infographic that lays out the facts on Baby Boomer retirement. This is one of the most interesting analysis of what actually went wrong for Baby Boomers and why they cannot enjoy a financially stress-free retirement. Experts believe that perhaps the most common factor that put Baby Boomers in this dire situation is that they failed to make wise investments. They either believed friends or invested without carrying out apt research. Baby Boomers needed the right portfolio allocation, but instead many of them either did not invest much at all or invested in the wrong entities. Secondly, Baby Boomers did not fully plan for their retirement. While Baby Boomers spent a lot on their kids’ education and supporting relatives, they failed to take the essential step of planning their retirement. 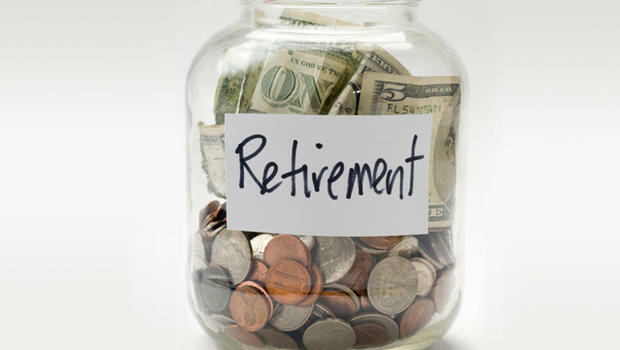 The retirement funds which are highly popular these days were not very common one or two decades ago. The lack of awareness and availability impacted the Baby Boomer’s preparation for retirement. Lastly, the other major hurdle Baby Boomers face is having to make monthly mortgage and home equity loan payments. 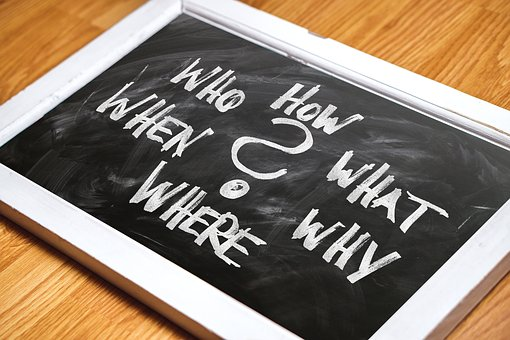 The factors all add up and result in a large percentage of Baby Boomers not being able to use their pensions and superannuation funds to support their living post retiring. What Can Baby Boomers Do Now to Find Money for Retirement? Undeniably, Baby Boomers don’t have much time to make more money for retirement. , But, even now, this generation of people can improve their current situation. All they need is the right advice and an accurate evaluation of their current situation. This will allow them to understand where they stand and how they can improve their position. Baby Boomers need to make research-backed decisions which can help their financial situation without creating any further financial losses. If you are also a Baby Boomer who is going to retire soon, it’s highly important that you prepare yourself well for that moment when you leave the workplace. There are a few new companies like Mason Finance offering the right set of advice to baby boomers that will enable them to strengthen their financial position as much as possible in retirement. Getting into debt is much easier than getting out of debt, especially as it continues to build up with what seems like no end in sight. You aren’t destined to be in debt forever. Be proactive and take these easy steps to get yourself out from under the mountain of debt once and for all. Take some time to sit down and organize your debt. If it gets too bad, you might not even open your bills to look at the balance due, or glance at and pay the minimum. You can’t create a plan without first knowing exactly how much and who you owe. Create a list of all your debts and their balances to get a full picture of what you need to conquer to get out of debt. All debt is not created equal. Some debt, such as your mortgage, is paid before credit cards if you’ve fallen behind. Examine the interest rate on your debts. Some people prefer to pay off debts with the highest interest rate first, while others find that it’s more effective for them to pay the account with the lowest balance and then work on those with higher balances. It saves money to pay the debts with the highest interest rates off first, but some people like to focus on smaller goals and celebrate victories as they pay off their accounts. Know exactly how much money is coming in and how much you need to pay out. Create a list of everything including your housing, utilities, food, gas, clothing, phone, and anything else you have to pay. See where you can cut down, such as eating out less, combining trips to cut down on fuel usage, or eliminating your paid television subscription in favor of free channels over an antenna. Every extra dollar you can cut from something else can go towards reducing debt. Avoid falling victim to a credit counseling or repair service. They cost money and do exactly what you can do on your own for free. There is no quick fix to getting rid of debt. It might be tempting, but avoid payday loans as an option. You’ll get money quick, but at an astronomical interest rate and they’re very risky. Payday loans put you at risk for losing a large sum of income if something happens and you’re unable to pay back what you borrowed. It only adds to your debt. You might want to consider a title loan. Try looking into Florence title loans for a less risky solution. As you pay your debts off, put the amount of the payment on the debt you paid off towards your next highest debt. If you paid off a credit card with a payment of $75/month, take that $75 and put it on another credit card or account to pay those off faster. Continue to follow this method until you pay down on your debt. Take any unexpected income, such as bonuses or overtime, and apply that to your debt too. You’ll save money as you pay your debts off sooner because you won’t incur interest on the balance. Stop ignoring your bills and take charge to get yourself out of debt. Create a plan, adjust it as needed, and discipline yourself to follow the plan to get and stay out of debt.